Refashioning is something that I haven’t really given much thought to before, I’m slightly ashamed to admit. This Summer whilst attending The Sewing Weekender I was so chuffed to hear Portia Lawrie speaking. Firstly because she had just won The Dressmaker of the Year title with an incredible jacket made from old jeans and I was over the moon to actually get to see the jacket, and secondly because refashioning/upcycling/transforming something was something I wanted to know more about. Safe to say I was ‘suitably’ (do you see what i did there) impressed and knew that this year I wanted to give #therefashioners2017 a go. Before I begin, you might like to take a little look over at Portia’s website where you can get all the details of this year’s challenge in full, but in a nutshell the challenge is to take an old suit or jacket – an unloved item that is not wanted anymore – and transform it into another wearable item of clothing! Best of all it was a whopping size 58″ chest so I figured that it didn’t matter that there weren’t trousers too as I should have enough to make a dress with the fabric on a jacket this size alone. Fingers crossed. In order to see how much fabric there was available, it was time to grab the seam ripper and dis-assemble the jacket. This was quite a lengthy process, and it was quite interesting to see the work and construction that goes into a suit jacket. I traced out the pattern pieces that I needed and then it was just a case of jiggling them around until I managed to somehow cut out all the pieces that I needed. It was my intention to share with you lots of pics of this stage of the make, but as always I get carried away with wanting to sew and only got this one shot of one of the sleeves being used for a skirt panel. Once constructed – this is the skirt panel that was made from the sleeve piece. The dress came together nicely, as always with a New Look pattern the instructions are thorough and have clear line drawings to help you. The alterations to the pattern that I made were that I wanted to use an exposed metal zip rather than the recommended invisible so that I could continue with the recycle/upcycle theme. I recently came upon a huge bag of old zips in a charity shop for £1 and so used one of those for this project as I felt it was very appropriate. Another change that I made was to the length of the straps. When it came to button placement (of course using the original suit buttons), I realised that the straps were too long, so removed the basting stitches, chopped off approx 2″, and re-basted into place before stitching. Finally, I felt like I wanted to add a pocket on the front bib of the dress. So I simply used my trusty pocket pattern piece from my Tilly and the Buttons Cleo dress and cut a pocket on the cross grain, lined it up and popped it on. I love how it looks with the pocket. With a limited amount of fabric, and a checked design, pattern matching was always going to be challenging. I managed it for some of the seams and not for others. Hey ho! I can live with it. The seams and darts line up nicely and it fits like a glove. The bodice of the dress is lined, and of course I used the lining that was originally the jacket lining. There was plenty of this and so cutting this out from the pattern pieces was no problem at all. This has been such a fun project, and I have enjoyed it way more that I expected to. 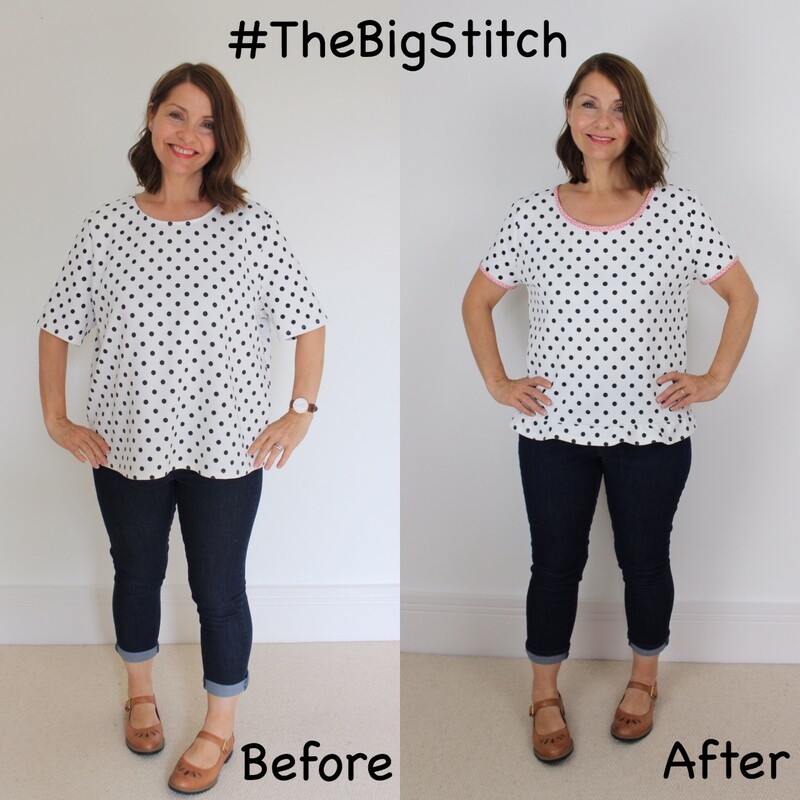 For more inspiration from this sewing challenge do head on over to Instagram and search the hashtags #therefeshioners2017 and #suitsyou for lots of images. Be sure to follow Portia on Instagram for all the updates on the challenge, and if you haven’t entered this time you might want to consider a trip to the charity shop for your next fabric purchase. Instead of looking at the clothes as garments, imagine them as pieces of fabric that could be used for your next project. The bigger the size the better. Thank you to Portia for the insane amount of work that must have gone into organising this challenge. It’s been great! You know me, I can’t resist a good old Instagram sewing challenge. I just can’t help myself, and when I noticed that Amanda, Nikki and Rachel were hosting a cosy cardi challenge this Autumn I simply could not ignore it! The pattern I chose to use is The Cocoon Cardigan by Canadian pattern company Jalie Patterns. I have had my eye on it for a long time and this sewing challenge was all that I needed to give me that push to purchase it. I chose it from the huge range of sewing patterns at Sewessential. The packaging of the pattern is a little different from regular sewing patterns. Whereas most sewing patterns have the instructions and pattern pieces contained within an envelope, this is a large folded sheet of paper on which the pattern pieces are printed, along with the cutting layout, instructions and measurements. The size of the document is slightly larger than an A4 piece of paper. It has an impressive range of 27 sizes!! From children’s through to plus sizes, and if you pop on over to the Jalie website you can print off the sewing instructions on 3 sheets of paper. The instructions are contained within the paper pattern, but they are difficult to use as they are on such a large folded sheet of paper and much easier to handle when printed off on regular paper. Another advantage of having the instructions available for printing on the website is that you can browse these even before you buy the pattern to see if it is something you are happy with making. I was so happy with my fabric choice. It is a soft brushed texture stretch jersey knit from Minerva Crafts, and is a neutral grey marl colour. It behaves very well when cut – doesn’t fray or curl, and is super soft and very very cosy. I did try to link it for you but cannot find it anymore, maybe it has sold out? However there are plenty of alternatives to choose from. It could not be easier to make. The pattern comprises of a front piece, back piece, neck band and cuffs. There are no separate sleeve pieces, they are part of the top rather like a kimono and there are no buttons or other fastenings or pockets. Super simple. Because of it’s simplicity I decided that this was the perfect sewing make to take along with me to my recent sewing day with my friends at Sewisfaction – see my blog post about this here. I knew that there would possibly be more chatting and tea drinking than actual sewing so wanted to take something really easy that didn’t require much concentration. This was all well and good until I noticed halfway through sewing it that I must have dropped one of my cut fabric pieces at home as I was packing my sewing bag so couldn’t complete it whilst I was there. How annoying! Sure enough when I got back home that evening there was the missing neck band piece, but never mind it took next to no time to finish it off. So the construction of the cardigan couldn’t be simpler. You are basically attaching the front pieces to the back, adding the cuffs and finishing with the neck band all around the edge. The result is a loose fitting, open fronted cardigan, and is really wonderful now that the weather in England is starting to feel colder. The sizing was good for me – no problems with that, although I wonder if I might shorten it next time I make it. I made no adjustments to the pattern for this make, but there are the usual lengthen/shorten markings on the pattern and I think I will use these to shorten my next cardi. It is described as ‘drapey and loose-fitting’ on the website which I love, but I may also size down a fraction next time too. What do you think? Overall a very enjoyable make. You will be seeing more of these for sure! Thank you to Amanda, Nikki and Rachel for hosting such a fun challenge. Do head on over to Instagram to search for more #cosycardichallenge inspiration. There is still plenty of time to submit an entry as the closing date is not until the end of the month, and you could be in with a chance to win one of the awesome prizes on offer! Do let me know if you are taking part and what cardigan pattern are you sewing up? 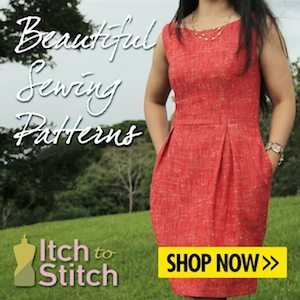 A couple of months ago there was a flurry of excitement as 3 beauties that I follow on Instagram announced that they were launching a Summer shirtdress sewing challenge. 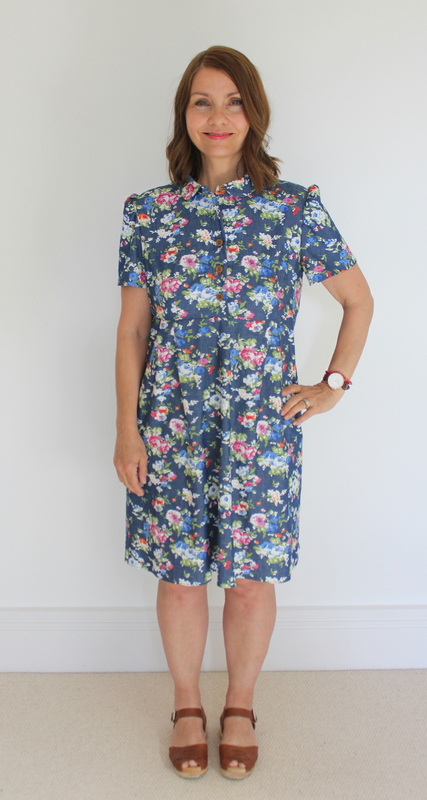 Sarah from @sewsarahsmith, Suzy from @sewing_in_spain and Monika from @rocco.sienna had decided to come together to share their love of shirtdresses and host a friendly challenge to sew a shirtdress in time for Summer. I loved that it aimed to encourage all to have a go. The whole point of this sewing challenge is for everybody to have some fun. Prizes are not to be awarded to the ‘best dress’, but given across the board to recognise the enjoyment of participating and sharing with others in the sewing community. For those not aware, the sewing community is the BEST there is and this is a whopping example of why – friendly, kind and helpful interaction between sewists of all abilities, ages and sizes all having a bit of fun together! I’m in! More shirtdress inspiration can be found at #sewtogetherforsummer over on Instagram. It also gave me the opportunity to make my first #vintagepledge make which is hosted by the lovely Marie from A Stitching Odyssey. I have written a separate blog post on this here if you would like more information on this fun challenge too! Again this is another amazing way to bring wonderful and creative sewists together and I believe there may be the opportunity to win prizes in this challenge too! Woohoo! Again – do check out the hashtag on Instagram for some breathtaking makes! A shirtdress is something I had not considered before. I don’t believe that a collar suits me – hence why it is very rare that I ever make anything with one! Whilst there are plenty of sewing patterns out there with collarless options, I decided to choose a collared version just because it was a little ‘out of my comfort zone’. Rather than buying a new pattern for this I had a hunt through my pattern stash and came across this wonderful vintage Style pattern from the 1970’s I think. (A charity shop bargain at 50p). I knew that I would need a few adjustments. I wanted to keep it as close to the original design as possible, but it also needed to be something that I would want to wear, so some alterations were necessary. I was delighted to find that all the pattern pieces were present, along with the instruction sheet. The pattern was already neatly cut out and had pin holes where the previous owner had used it. I can’t help wonder who it belonged to before and what her dress turned out like. So off I set, using an old duvet cover as my toile fabric. I am so pleased that I made a toile, because on this dress I made a TON of alterations! The pattern pieces are incredibly detailed. Seam lines are shown on all seams, there are more than enough dots and notches and plenty of written instruction on the pattern pieces as well. The instruction sheet is just one piece of paper which has the cutting layouts on one side and written instructions on the other. However it was more than adequate. I had no ‘scratching my head’ moments, and whilst it was much more time consuming to make up that most things I have made lately, I must admit that it was thoroughly enjoyable. I used a light/medium weight cotton chambray from my stash purchased at Barry’s in Birmingham earlier on in the year. I had been saving this for something special and I am really please I used it for this project. I cannot quite decide if I like the buttons undone or done up – but I must admit I don’t mind the collar despite my reservations as to whether it would suit me. It was easy to make and feels soft and comfortable – no interfacing required. Although I shortened the length of the sleeves, they remain fairly gathered at the sleeve head, maybe my next version would be less gathered at the top here. I can live with this though. My absolute favourite part are the double pleats at either side of the centre front and back. The gathers were pretty on my toile but I just wanted pleats and am so happy I did. Love them. I did remove some of the fullness of the skirt, it really was much too flared for my liking. I feel that it has the perfect amount of fullness now. The original pattern calls for a 55cm zip down the centre back of the dress. When making my toile I found that it could be easily put on and taken off over the head without using the zip, so my finished version has no zip and I cut the bodice back on the fold removing the seam allowance that would have been there had I been using a zip. I cut the toile skirt to the length (using view 3), where the ruffle started thinking this would be a perfect length for me – in fact it was slightly too short and I ended up adding 4cm to the length in my final dress. I omitted the back zip and cut the back bodice on the fold instead. It is perfectly easy to put on and take off over the head without the zip. I cut the sleeve to a short sleeve length. I could not live with those poofy sleeves! I took out the fullness of the skirt quite a bit, it was much too ‘flared’ for my liking. I chose to make double pleats rather than gathers either side of the centre front and back and I just LOVE that – it’s my favourite part of the dress!! I decided to add an extra button on the bodice band – just because I thought it looked more finished. So all in all this has been a great experience. I have ended up with a dress that I will wear alot. It has been quite a surprise that I love this shirtdress so much, given my collar reservations, but I am now browsing t’internet to gain inspiration for another! Who would’ve thought! I have also massively enjoyed using a vintage pattern and taking part in my first #vintagepledge challenge. Last night at 2am I was still browsing through the vintage pattern selection on eBay – very inspiring! Although quite pricey sometimes – I would recommend charity shops and car boot sales for some great bargains on vintage patterns. Thank you to Sarah, Suzy, Monika and Marie for organising these challenges, and allowing us to share our own makes and enjoy the inspiration that we gain from seeing others.